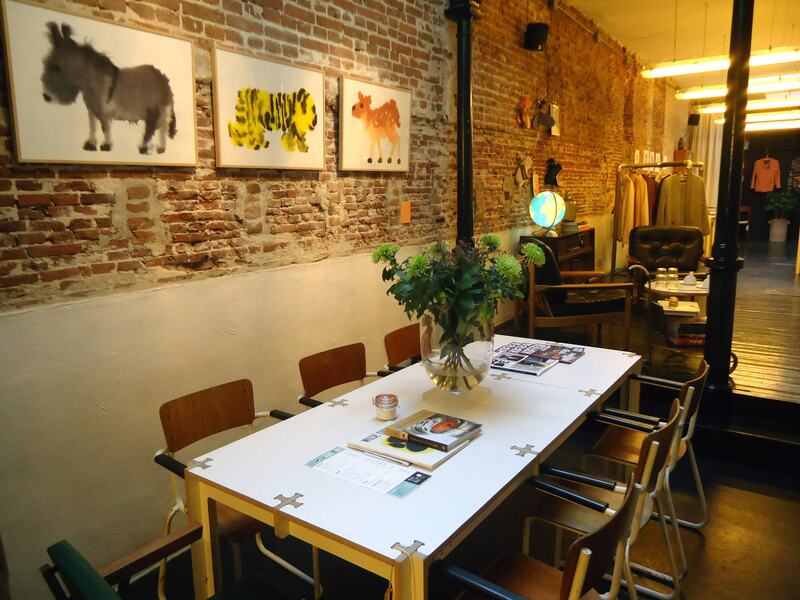 A former cinema on the 20’s, this is now one of Amsterdam’s coolest coffee shops. It screams hipster-cool but that also means they serve a mean cup of coffee. Their excellent free Wi-Fi also means you’ll spend hours working away here without being disturbed. Not only do they serve amazing coffee and great Wi-Fi they have an amazing range of sweet treats to chose from. And if you’re a local, you can even bring along your furry friend to join you. These guys take beans form all over the world to make some of the best coffee in Amsterdam. They take pride in every pour and you’ll be sure to be kept energised to get a load of emails done while soaking up the atmosphere. If you’re looking for diversity, then KOKO is for you. They sell clothes, art, design books, coffee and more. It’s the perfect spot to sit down for hours, get a ton of work done and get inspired. White Label Coffee is a hipster paradise. In fact, it is ideal for those of you looking for somewhere to go and work remotely for a few hours. They’re specialty coffee roasters so you know this stuff is amazing. Volkshotel is one of the quirkiest hotels in Amsterdam. Volkshotel is the right location for setting up camp with your laptop and for days when you have meetings back to back. There’s a subway station 2 minutes away so it’s super easy to get back into the centre of Amsterdam. Think the Ace Hotel in NYC or London. With half a dozen or so outlets in Amsterdam alone, there’s no denying these guys are experts when it comes to service. If it’s super fast Wi-Fi and great coffee you’re looking for, you’re sure to get it here. The food isn’t too shabby either! With their brand reaching all four corners of the globe, it’s not wonder that Douwe Egberts are one of the most popular coffee shops in Amsterdam. Described as a more laid back version of Starbucks, it is such a great way to spend the day here if you have an unimaginable about of emails to get through. No frills, free Wi-Fi and amazing coffee. This gets second place for a reason. It is one of the more well-known coffee chains in Amsterdam. Their large tables and free Wi-Fi mean that working remotely is ideal and you’ll find plenty of other customers doing the exact same thing here. It’s the first time we’ve done one of these top 10 lists and a public library has come first. But don’t underestimate this one. They serve amazing food, there are plenty of work spaces available and you’ll be surrounded by like-minded creatives. And the best thing? It is open til 10pm daily so if you prefer to work late, then the bibliotheek is your front runner.